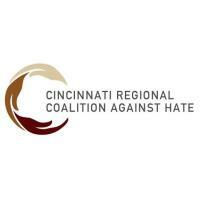 The Cincinnati Regional Coalition Against Hate condemns the horrific shootings that occurred this past week—from the two African Americans shot at a Kentucky Kroger store after a failed attempt to enter a black church, to the unconscionable murder of 11 worshipers at Pittsburgh’s Tree of Life synagogue—they are rooted in hate, white supremacy, and anti-Semitism. None of which has any place in our local, national, or global community. We must unify and choose love in these difficult times, reaffirming our commitment to peace, justice, freedom and dignity for all. #NoPlaceForHate #WeChooseLove Check our facebook page here!